Donald Trump has stumbled over the name of the new Washington museum commemorating black history. In fact, the long-awaiting institution, which opened Saturday amid a renewed wave of racial strife in the country, is called the National Museum of African American History and Culture. The grand opening ceremony drew the attendance of both President Barack Obama and former President George W. Bush, as well as a number of distinguished civil rights leaders and black celebrities. Another one of the Smithsonian Institution's many museums in Washington is the National Museum of African Art. It too is on the National Mall. The stumble comes as Trump has been trying to improve his standing with minority voters who have an overwhelmingly negative view of the GOP candidate. Trump hailed African Americans' "incredible contributions" to the United States. 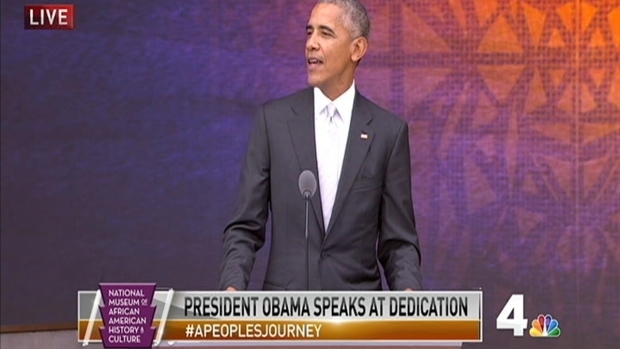 "African Americans have given so much to our nation, and sacrificed so much for this nation." The GOP candidate also blamed president Obama and Democrats for black struggle, and vowed to "fight to make sure every single African American in this country is fully included in the American dream."